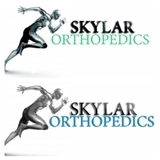 Skylar Orthopedics (Los Angeles) - Book Appointment Online! Under the leadership of Dr. Frank Giacobetti and Dr. Mary Bos, Skylar Orthopedics & Associates are fully committed to providing the highest quality of care with an efficient, pleasant and most professional approach. Skylar Orthopedics' highly trained staff is readily available to assist our patients in any matter with utmost respect, compassion, integrity and pride. Skylar Orthopedics' multiple locations throughout Southern California facilitate immediate scheduling and patient care. We at Skylar Orthopedics truly believe in the importance of excellent patient care and treatment. We take pride in our work and we are dedicated to assisting our patients through their treatment and recovery process.